While more Australians are aware of the importance of having a will, simply buying a do-it-yourself will kit from a newsagent and filling it out yourself can cause more problems than it solves. The main concern isn’t that you end up with a will that is ineffective or invalid. It is that you end up with a valid will that is legally binding but doesn’t achieve what you wanted. If there is a “rule 101” of estate planning, it is that the document itself isn’t important – it’s the advice that goes with it. The following are some of the most common mistakes with DIY wills – whether from a newsagent or not. This becomes a problem if two or more versions of a will are located, but one is not dated. A court will need to ascertain which document was intended as the last will and testament, and is required to review all wills and question all beneficiaries to determine which document is to be recognised as the will. There is no such thing as a “test” or “draft” will – if there is a document in existence that is signed in some way and appears to be intended as the final will (even if the person who signed it did not intend for it to be so), there are obligations on the executor to put it forward to be interpreted – often at significant expense. It is surprisingly common for people to leave assets in their will that they don’t actually own. Superannuation is the classic example. A will cannot bind a trustee of a superannuation fund to direct a member balance to a certain beneficiary. This can only be done via a binding death nomination to the superannuation trustee. Another common example is business assets. A person may own the business, but this doesn’t mean that he or she owns the assets of the business, and they can’t therefore be left to a beneficiary separate to the business. People often don’t realise that there are legal definitions of certain terms that could cause serious confusion for beneficiaries. Take the situation where a parent had left “all their shares” to one child and other assets to the other child. By this, they had meant their shares in companies listed on the ASX, but legally speaking, the term “shares” also encompassed their shares in a private company which was the trustee of their family trust. There have been numerous instances of family members knowing that a person had written a will, but not being able to find it after they die. In this situation, there must be a search made for a will, including advertising for witnesses or law firms who may have been involved to come forward. This may involve significant costs and delay in administering an estate. All wills require two witnesses. If there is only one (or no) witness then it becomes an “informal will” and needs to be tested in court. In addition, the details of the witnesses should be recorded so that they can be contacted. If they can’t be easily identified, the executor will need to prove that they have made every effort to track down witnesses, and this can become very expensive and time-consuming. Another consideration is that a will can’t be updated or edited after it has been witnessed. The document that the witnesses viewed and signed is a legally binding document, and any changes must be witnessed again. One area where advice can be particularly valuable is when different classes of assets, with different tax consequences, are directed to specific beneficiaries. Generally speaking, most assets can be transferred to beneficiaries without any immediate tax liabilities, but there are exceptions. For example, the transfer of assets to a beneficiary via a deceased estate is not generally a capital gains tax (CGT) event. This is not the case for a person who is not an Australian resident for tax purposes. In this case, CGT must be realised at the time it is transferred to the beneficiary and must be paid by the estate. Testamentary trusts also allow for streaming of income to minor beneficiaries who are then taxed on that income at adult tax rates, thus potentially minimising the amount of income tax paid. Without advice, a person writing their own DIY will may create unintended taxation liabilities for their beneficiaries that a testamentary trust could have avoided. There are a number of misconceptions about executors. 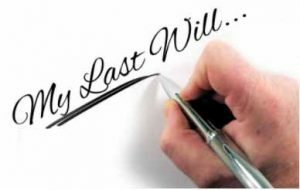 One is that an executor can’t also be a beneficiary of the will. This isn’t true but it does mean that people sometimes don’t name the most appropriate person as their executor, because they also want to ensure they benefit from their will. Another mistake is choosing multiple children as executor, but not taking into account wider family conflicts or the fact that the children do not get on with each other. This can cause all sorts of problems when it comes to estate administration. While many will makers are concerned about the expense of a professional executor, the reality is that there is often a cost saving overall as the estate can then be efficiently and effectively administered, without family conflict. While most people would consider that they have a right to distribute their estate in whatever way they want, this is overlaid by obligations to certain beneficiaries – for example, financial dependents. It may be impossible to prevent a challenge to an estate but obtaining proper legal advice will minimise the chance of a successful challenge – and at least people will be aware of the potential issues that may occur. One of the most common drivers for those drafting a will is to ensure that their chosen guardians will be in place for their children. Unfortunately, the reality is that the guardians listed in a will are only ever a “wishlist”. The Family Court will consider who the most appropriate person is at the relevant time, taking a number of factors into account. By getting proper advice, an appropriate support document can be developed to explain why that guardian was chosen (or, potentially, why another one was not). When do I need a New Will? Lawyers vs Personal Will Kits – Which is Best? A witness is a person who gives evidence to the Court about his or her knowledge of a case.